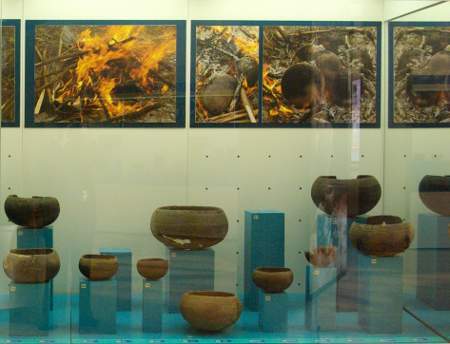 The people who lived on La Palma before the Spanish arrived in 1493 called the island Benahoare, and themselves Benahorita, and they’re the subject of the permanent exhibition upstairs at the ethnographic museum in Los Llanos. 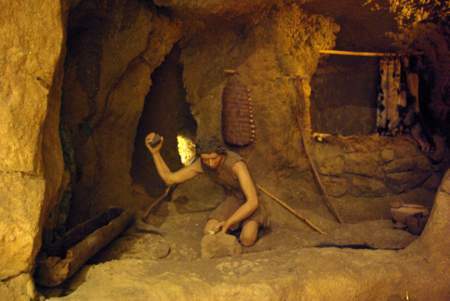 The Benahorita lived in caves and wore animal skins, but they weren’t stupid. They farmed, and they had quite a bit of technology considering there’s no metal ores on the island. Their ceramics are lovely. 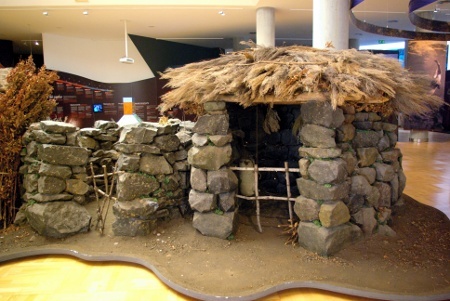 The exhibition includes recreations of the sort of huts and caves they lived in, the the way they buried their dead. (Caution – there are some real human skeletons. I don’t mind but some people might.) Display cases and panels tell you all about their ceramics, and the ingenious things they made out of stone, bones, shells, leather and wood. More display panels cover the ancient Benohora kingdoms, archaeological sites, and the geology of La Palma. All in all, it’s pretty good, and it’s free.